It is a type of autoimmune disorder that attacks the thyroid. 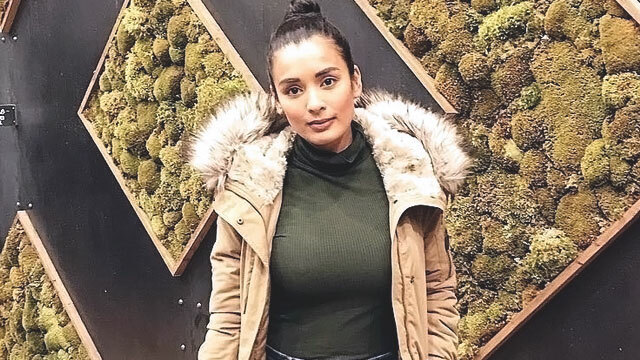 Michelle Madrigal has been diagnosed with Hashimoto's Disease, "an autoimmune disorder and the most common cause of hypothyroidism, or underactive thyroid," the actress writes on Instagram. Michelle calls it another huge "transition phase" of her life after welcoming her daughter, Annika, with fiancé Troy Woolfolk in October 2017. While there are many possible causes of hypothyroidism, Michelle's condition means that her "immune system makes antibodies that attack the thyroid gland. The thyroid becomes damaged and can’t make enough thyroid hormones," the new mom explained. According to an article on SmartParenting.com.ph, the thyroid gland is responsible for producing hormones needed for proper body functions. "Thyroid hormones control how our body uses energy, so they affect nearly every organ in your body," Michelle said. So, if it isn't functioning well, it can throw your whole body systems off. The body's metabolism is often the first to suffer. One of the first noticeable symptoms of the Hashimoto's disease is having an enlarged thyroid gland or goiter. Michelle reveals she has goiter, but she did not mention other possible symptoms of hypothyroidism like fatigue, depression, constipation, dry skin, hair loss, and weight gain. Michelle has been on a regular fitness routine get her postpartum body back in shape, which she has been documenting on her social media. She joined a "transphormation" fitness challenge in January when she was 130lbs, and her weight dropped to 120.6lbs in March. Thankfully, Michelle has not yet been prescribed medication to treat her disease, but she's been researching the Autoimmune Protocol (AIP) diet and the Paleo diet. Both are composed of nutrient-dense food, such as meat, seafood, and vegetables. According to the AIP Lifestyle, the AIP diet helps heal one's immune system and gut mucosa and can help treat any inflammatory disease. Michelle has started cutting down on sugar and gluten in her diet. "I know healing my gut is just the first step, but dealing with daily stress and emotional flare-ups is also another thing," she said. "Here’s to healing naturally and being healthy from the inside out!"